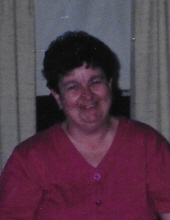 Mrs. Sharon Ann Cripe-Gallup 71 years old of Effingham formally of Altamont and Beecher City, Illinois passed away on early Monday Morning, November 5, 2018 at 6:45 AM at the Lakeland Nursing and Rehabilitation Center, Effingham, Illinois, where she made her home the last few months. Sharon was born on October 8, 1947 in Vandalia, Illinois one of six siblings into the family of Charles and Dorothy Williams-Glass. During her younger years she lived and worked in the Vandalia Area. She then moved to Decatur, Illinois where she was a homemaker raising her family. She married Merlin Lee Cripe and he preceded her in death 1999. Sharon moved to Beecher City, Illinois in 1998 and was employed by the Beecher City Food Liner for a number of years. After her retirement she then moved to an apartment in Effingham, Illinois. She was a member of the Beecher City United Methodist Church IL for a number of years. Sharon leaves to mourn in her passing her 2-Sons: Joe (wife, Chris) Cripe and Larry Cripe, both of Altamont, Illinois. 2-Great Grandchildren: Jayden and Kayson Goers. 2-Brothers: Tony and Frank Glass and 1-Sister Janet Gibbons. To send flowers or a remembrance gift to the family of Sharon Ann Cripe-Gallup, please visit our Tribute Store. "Email Address" would like to share the life celebration of Sharon Ann Cripe-Gallup. Click on the "link" to go to share a favorite memory or leave a condolence message for the family.